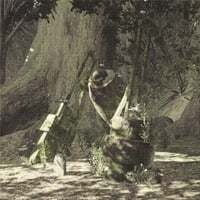 Letter to the Forest King is one of the information archives in Nier: Automata. Here lies the Forest King, Ernst. This exalted individual was the earliest among us to awaken his own will, and for this reason did we name him our regent. Looking to sow the seed of this will in others, His Highness distributed his own precious parts. His retainers were the first to be so blessed, followed by his subjects. And in doing so, he brought forth a paradise—one made for machines alone. Through his gifts did we learn of the thing called ego, and eventually of our own selves. And just as ego gives way to emotion, so too did emotion lead us to feel great loyalty to our king. But our king was too great—and too kind. Having distributed his parts, it became difficult for him to function, and he soon fell into a deep and silent sleep. Now, the only path left to us—his loyal vassals—is to construct a kingdom of eternal peace, one which lives up to the magnanimous heart of our king. And so, as a sign both of resolve and our gratitude, we leave in this place a chip made from our combined parts. Your spirit lives on in us, O great king. And so we implore you to rest in peace. I want to know if it is at all possible to keep the baby forest king alive and away from A2.